The Extractive Industries Transparency Initiative (EITI) is a global standard promoting the open and accountable management of oil, gas, and mineral resources. The International Board, the EITI’s main governing body, is comprised of 21 representatives from the various Constituencies engaged in the EITI – governments of supporting and implementing countries, extractive companies and investors, and civil society organisations. The Board is supported by the EITI International Secretariat, an independent body based in Oslo, which is responsible for the day-to-day running of the EITI and the coordination of EITI implementation efforts worldwide. 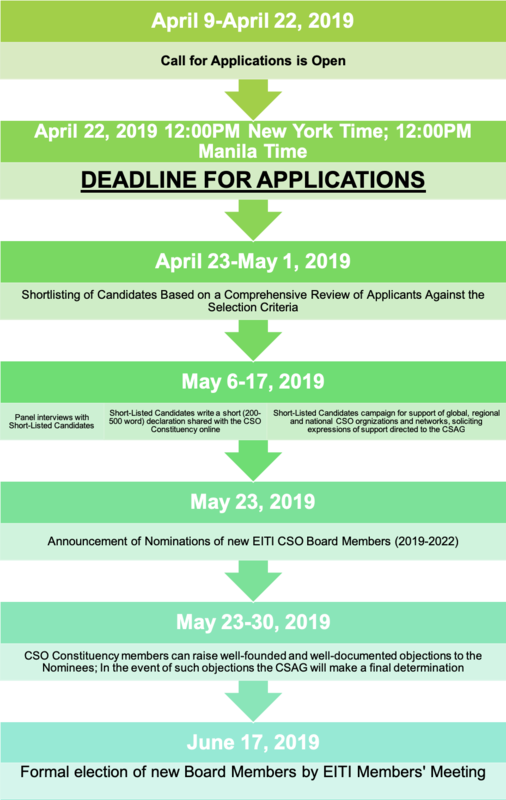 Candidates will be considered through an open and transparent selection process managed by an independent Civil Society Advisory Group (CSAG) with the support of an Independent Organization (IO), the Consensus Building Institute (CBI). 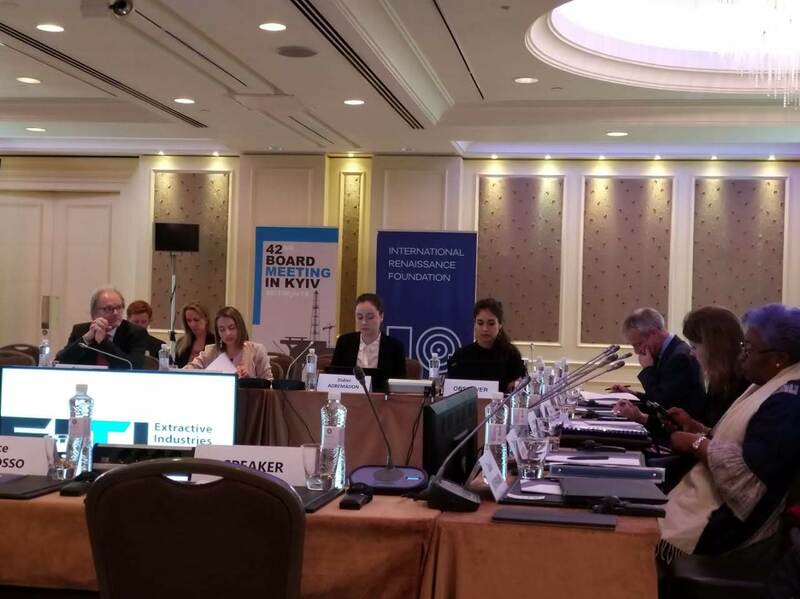 The names of the 10 successful candidates will be put forth for formal election to the Board at the EITI Members’ Meeting on 17 June 2019 in Paris, France. For more information, including on the responsibilities of the role, qualifications sought and instructions for submitting an application, visit the CBI website by clicking here.